Roger Salloch is a novelist, short story writer, screenwriter and critic. 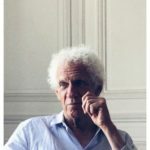 He was born in New York and his work has appeared widely in publications such as The New York Times, Rolling Stone, The Paris Review, Ploughshares and The North Atlantic Review among others. A novel, “Along the Railroad Tracks”, was translated into Italian and published in Turin by Miraggi Edizioni in 2016 (“Una Storia Tedesca”). The same novel was translated into French and published in Paris in 2017 by Nadeau Editions (“Une Histoire Allemande”). Miraggi has now also agreed to translate a new novel, “Vanilla Ice Dream”. The book will be published in 2019. In November 2018, Salloch’s long short story, “In Germany”, received recognition by Glimmer Train Press as one of the best 25 stories they had received out of 1500 in their 2018 Fiction Open. Salloch has written screenplays with Costa Gavras and Catherine Breillat. “Tropical Disturbance”, a play, was given a workshop performance by the Grottesco Theater Company in Santa Fe and Pierre Bergé’s Saint Laurent Foundation provided initial development funds for the contemporary opera, “Romantic Romantica”, for which he co-authored the libretto. Salloch’s work has appeared in French and Italian translation (R, Noise, Sud, etc), and has been featured alongside his photographic work in exhibitions in New York, Eutin, Germany, Paris, Turin, New Delhi and Vologda, Russia. A roving critic for The Magazine (for the arts) in Santa Fe, Salloch has lived for many years in Paris.